Allow me to congratulate you on your election as Chairman of this session. My delegation is fully committed to the successful fulfillment of the work of the Committee, and assures you of our full support and cooperation. The Islamic Republic of Afghanistan aligns itself with the statement delivered on behalf of the Non-Aligned Movement. My Government has recently adopted the Afghanistan National Peace and Development Framework (ANPDF), a five-year strategic plan for achieving self-reliance. The Plan focuses on three areas: reconciliation, security, and stability. We have also adopted a five-year National Campaign Plan to increase the mobility and effectiveness of our security forces. 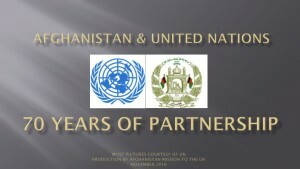 Improvements to the Afghan National Defense and Security Forces (ANDSF) are critical not only for securing our country against armed extremist groups, sent from outside, but also for reducing criminality such as extortion, kidnapping, and illegal seizure, which have become huge disincentives to business investment. Presence of Improvised Explosive Devices (IEDs), Explosive Remnant of War (ERW) and landmines pose a severe threat to the lives of Afghan people and impede development activities. Each month, more than 100 civilians are victims of IEDs, landmines and ERW. Unfortunately, Afghanistan still remains one of the most heavily mined countries in the world. According to UN reports, sustained financing is critical for the Mine Action Program in Afghanistan (MAPA) to declare Afghanistan mine-free by 2023 in line with its obligations under the Anti Personnel Mine Ban Treaty (APMBT). Achieving this goal would be historic for Afghanistan and the world, given the scope of the problem. The mass illicit trafficking of arms, mainly small and light weapons, along the Durand Line which has enabled terrorists and violent extremists to cause Afghan people tremendous suffering for decades must be put to an end. The savage attacks in populated urban centers showcase the cowardly behavior of the terrorist groups and their supporters to compensate for their so-called spring and summer offensive’s losses. We have evidence that most of these attacks were orchestrated outside Afghanistan. Last month, we seized two trailer trucks entering Afghanistan from Pakistan with 35,700 kg of ammonium nitrate – an amount nearly twenty times larger than what was used in the Oklahoma City bombing in 1995. This would have caused enormous threat to lives and property if the attack was carried out. Therefore, states must be responsible to control the access of precursors and weapons to terrorists and violent extremists. We call on all relevant parties to further strengthen their rules and regulations to prevent, combat, and eradicate the illicit trade in small arms and light weapons in all its aspects. My delegation believes and reiterates its commitment to multilateral diplomacy as a crucial principle for advancing the global disarmament agenda. To achieve the goal of arms control, reduction, disarmament, and total elimination of all types of Weapons of Mass Destruction, including nuclear weapons, there is an urgent need for all sides to demonstrate political will. In this context, it is imperative that the P5+1 and the Islamic Republic of Iran fulfill their commitments to implement the agreement that was concluded successfully last year. Afghanistan, as the state party to Non-Proliferation Treaty and the Comprehensive Test Ban Treaty calling for the total elimination of nuclear weapons as well as weapons of mass destruction, strongly supports all initiatives in the sphere of nuclear disarmament. We support all initiatives that could lead to de-escalation of recent tensions between nuclear neighboring states in our region. Afghanistan strongly urges all states to fulfill their international responsibilities in signing, ratifying, and actively supporting all efforts to promote the goals of all multilateral treaties relating to disarmament and non-proliferation. In this context, my delegation also condemns in strongest terms the recent nuclear test conducted by North Korea. We express our deep disappointment at the failure to convene a conference on the establishment of the Middle East as a zone free of Nuclear Weapons and all Weapons of Mass Destruction. As the political turmoil in the Middle East threatens to spill over into its neighboring regions, Afghanistan wishes to highlight the need for immediate action by the international community to prevent looming humanitarian and political catastrophe and overcome ongoing diplomatic stalemate. 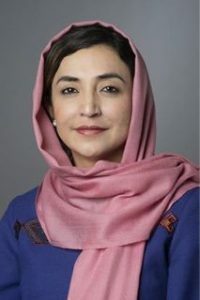 Afghanistan is extremely disturbed by the humanitarian threat posed by continued existence of nuclear weapons, and the possibility of their use, intentionally or accidentally. It is for this reason that we welcome the outcome of the third and final Conference on the Humanitarian Impact of Nuclear Weapons, which recognizes that total elimination of all nuclear weapons is the only definite safeguard against a catastrophic nuclear explosion. I would like to reiterate that Afghanistan is gravely concerned about the continued use of Improvised Explosive Devices – IEDs around the globe. IEDs are responsible for thousands of civilian casualties every day. They have become the primary weapon for non-state armed groups in many conflicts. Their impact on the security and stability of states are profound, as they not only damage the political, social, and economic development of a country, but also prevent the ability of necessary humanitarian aid to reach affected areas. Due to the lack of a comprehensive, systematic approach to counter the use of IEDs, which is relatively simple in its manufacturing, acquirement, and transfer, my delegation tabled a resolution last year that was adopted by consensus. My delegation is thankful to all who supported this important resolution. In pursuant to the resolution, the Secretary General of the United Nations has issued his report and we thank him for it. My delegation will soon start informal consultations on the follow up draft resolution; therefore we seek further cooperation and support of the member states, so that the resolution could be adopted by consensus. My delegation notes with concern that despite the many positive developments in the work of international diplomacy for the disarmament of nuclear weapons, we still face threats to human security and sustainability of an unprecedented nature. The global and regional climate of terrorism and violent extremism have made the call for nuclear disarmament as well as elimination of weapons of mass destruction, including small and light arms even more urgent.